It’s dark, gray, frigid. There are blizzards and chapped hands and exploding frozen pipes. In other words, it is February, most people’s least favorite month. I’m a little warmer towards it simply because it’s my birthday month, but I’d much rather enjoy spring or fall than trudge through the depths of winter. In fact, it’s been so viciously cold these last few weeks that I have been subconsciously transporting myself to summer days, when I don’t need to worry about wearing sixteen different layers or keeping my little tube of Aquaphor at the ready to soothe my weather-beaten knuckles and lips. I’ve been fantasizing about strawberries, and apricots, and cherries, and all of the delicious bounty that crops up once the soil thaws. 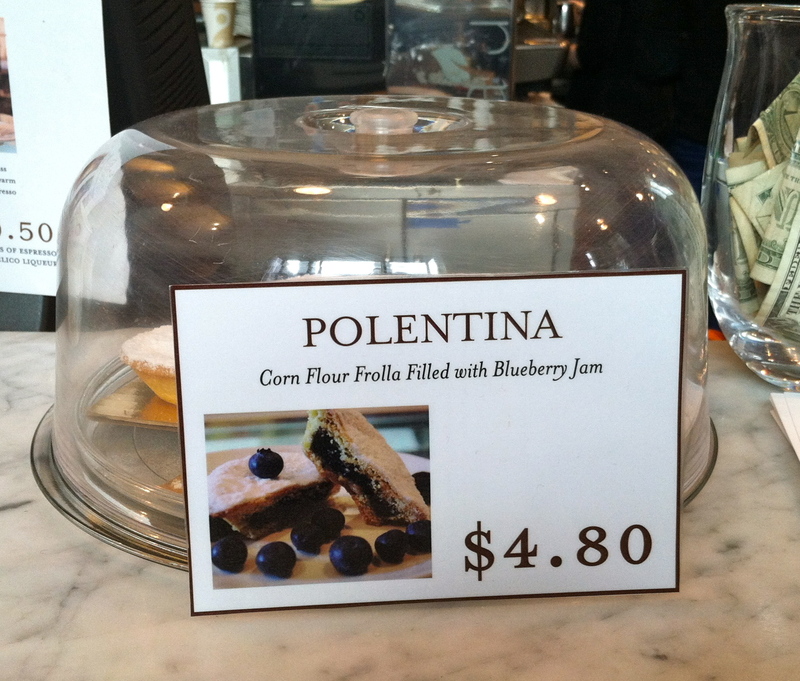 And then, I came across the polentina at Eataly, and knew I had to have it, immediately.